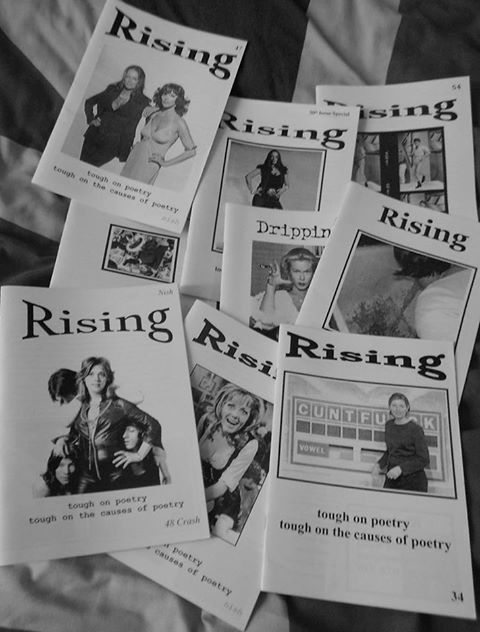 Poetry Weekly and Rising are two A5 poetry magazines. They look very similar with respect to form and content, but soon begin to differ. Cult magazine Rising is on issue 58 having been first published in 1993 whereas Poetry Weekly launched its first issue in April 2013. Poetry Weekly is, as its name suggests, published weekly while Rising is handed out at gigs by Tim Wells on a looser timetable. Poetry Weekly retails for £1 an issue whereas Rising is free. 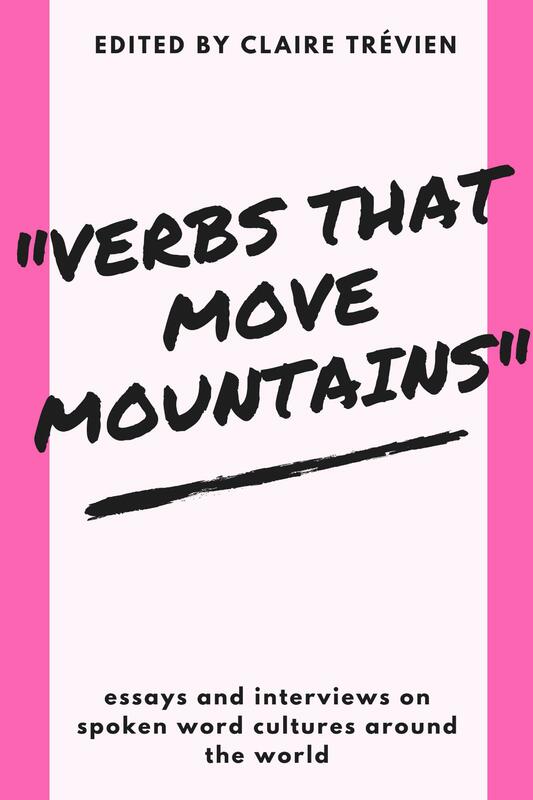 There is a very sparse website available for Poetry Weekly – white, stark – it mimics the manifesto, style and theme of the magazine., whereas Rising has no web presence. These magazines are exciting, they’re mysterious, they’re niche, (or ‘Nish’ as it is written on the cover of Rising) but it makes me wonder, who on earth reads them? 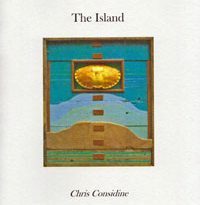 This question is particularly relevant for Poetry Weekly, whose introductory page written by Paul McMenemy preaches that new poets need to ‘increase their readership’, and that the poets themselves need to read as much poetry as possible in order to learn how to write new poetry and be publishable. 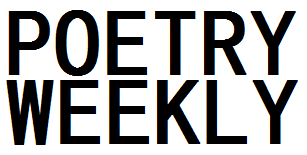 Defining cost as the red light in the way of this traffic, Poetry Weekly‘s manifesto is just that; to produce a cheap and accessible magazine in order for these seemingly new or previously unpublished poets to get printed and digested by others. and soften with blusher and foundation. hair rearranged to lessen scalp’s burst balloon. Rising contains poetry from some better-known poets, Helen Mort, Phill Jupitus and Sabotage Reviews’ own Claire Trévien to name a few. The issue is cheeky, tongue in cheek, stating that Rising is ‘tough on poetry / tough on the causes of poetry’ and feature poems on ridiculous dates, reasons for dumping people and ‘Bonkers’ politics. The poems have a purpose and a stride, but that’s not to say that Poetry Weekly lacks in energy with its bold type and in your face agenda, one of the first words you see on the front page is the title of a poem called ‘Argument’; the design reflects the editorial decision to publish poetry cheaply and yet still in great quantity. the regular’s names, their preferences for foam. She blows her nose. Shivers. All the staff are ill; the sick pay’s a joke. She gives herself an extra two minutes. I prefer Rising, more wake up than your average stay asleep poetry mag.